The Kontinental Hockey League and BeLikePro within the framework of the Hockey Corner project, donated the Zarechye lower secondary school the necessary assets to play hockey. The Hockey Corner donated equipment includes a kit for floorball games during physical education lessons and interactive simulators for a unique hockey zone with plastic ice, hockey crease, dummy goalkeeper, and protective enclosure. The opening ceremony of the Hockey Corner was attended by Anzhela Timoshina, Deputy Director of Department for Top Level Sports of the Russian Federation’s Ministry of Sports; Marina Repina, desk officer of the Department of the State Policy in the Sphere of General Education of the Russian Federation’s Ministry of Education and Science; Pavel Sheruimov, Head of the Department of development and implementation of the Russian Ice Hockey Federation’s program for the development of hockey players; and Alexey Morozov, KHL Vice President for junior hockey development. By the 2018-2020 National Developmental Program rectified by the Russian Federation’s government, similar Hockey Corners will be built in Russian schools in 2019-2020. 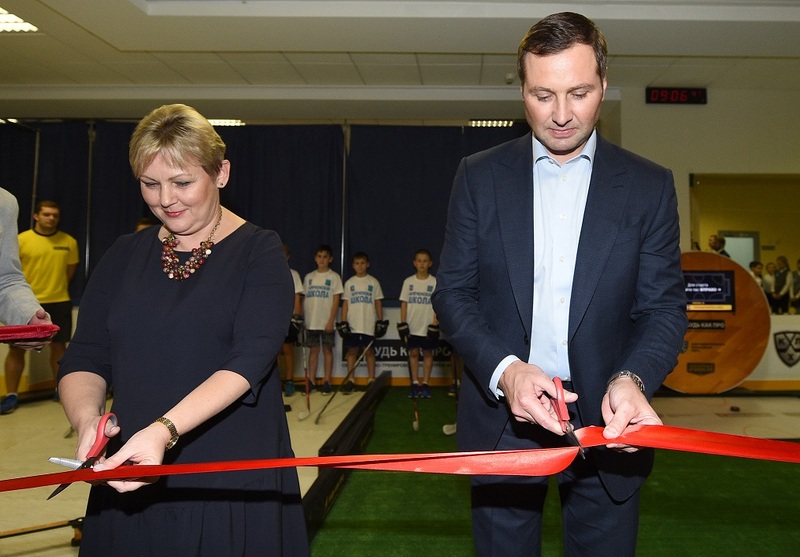 The project presented by the KHL in the Zarechye school is an excellent example of a Hockey Corner with the optimal assets needed to play hockey at school. Moreover, the League and the FHR drawn up the Methodological Recommendations defining the tentative list of equipment and assets for the Hockey Corners and a set of drills with the related use in the educational institutes. The exercises are aimed at developing basic skills and teamwork, coordination as well as skating and puck control. The program will be tested until mid-2019 in general education institutes in 13 pilot regions of the Russian Federation. “We are proud to present today the first project of its kind. Having similar “Hockey Corners” in schools is a fantastic opportunity for the kids to try playing the sport and get closer to the idols they see on the TV.